My mother-in-law took the time to teach me (and my little girl) how to make Koobideh Kabob (ground beef kabob) on the grill, in the oven or on the stove! Find more of my Persian kabob recipes. My mother-in-law is a professional when it comes to making Persian Koobideh Kabob, Ground Beef Kabobs. You know, ground meat on a skewer? It sounds easy, but it’s an art form to cook pieces of meat or chicken over an open flame. If the mixture is off by an ingredient, the whole thing falls off the skewer and into the hot coals. And the kabobs must remain moist and tender, practically melting in your mouth, certainly not like thick, heavy meat patties. My mother-in-law’s master hands work quickly. She has lovingly and selflessly made these kabobs for her family as long as she can remember: first for her children and her husband, and now for her grandchildren, daughter-in-law and extended family. My own grandmother was also a master in making koobideh. But she is gone now, and I never had the opportunity to learn from her. So one afternoon, I invited my mother-in-law over and we made koobideh together. I watched her work her magic and learned her koobideh recipe. Persian kabob is pretty special. There are many varieties available, from beef to chicken to lamb. 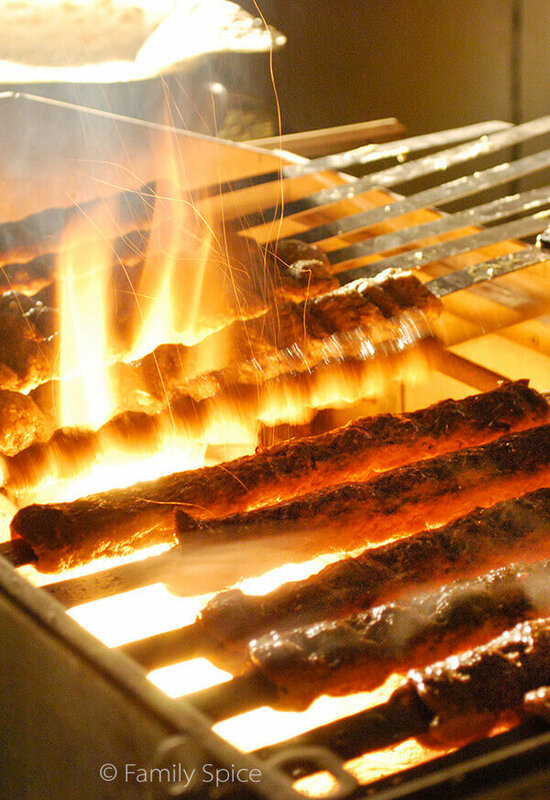 Koobideh kabob is made with ground beef. Sometimes it is a mixture of ground lamb and beef, depending on personal taste. This version is a simple recipe that my mother-in-law makes every time we come over for a delicious meal of homemade koobideh. And like most home cooks, both my mother-in-law and my grandmother do not work in exact measurements. They measure everything by sight and feel. So I would run to the measuring spoons to make sure I wrote everything down exactly as my mother-in-law explained. In it’s simplest form, this koobideh recipe is with ground beef (20% fat), grated onions (drained of excess water), salt and pepper. Sometimes I like to add some chopped parsley, mint and even garlic powder to the mix. But my mother-in-law keeps the mixture super simple. Don’t let these simple ingredients fool you. It is all about how koobideh kabob is prepared that makes it special. As I explained earlier, if your meat does not have enough fat on it, it will fall off the skewers as it cooks. If your meat has too much moisture on it, it will fall off the skewers. If your meat doesn’t have enough moisture, it will fall off the skewers. If your meat isn’t mixed thoroughly, well, you get the picture. 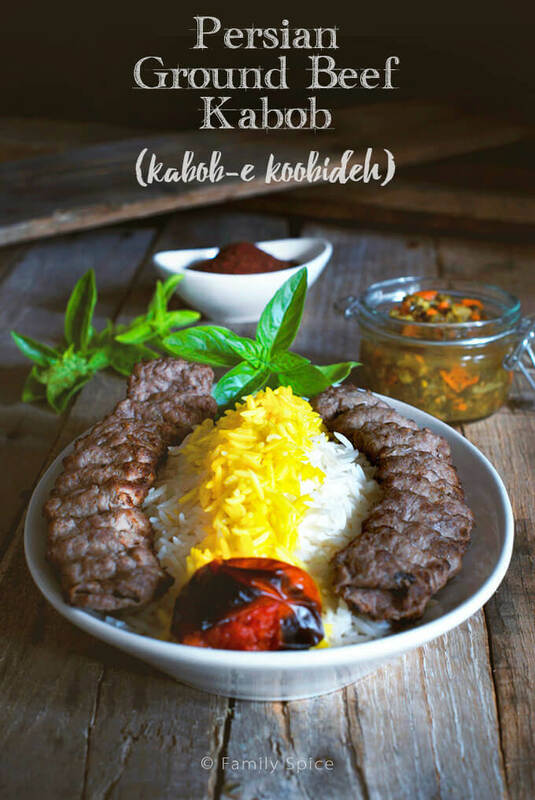 How do you make beef koobideh? The onions are first grated in the food processor. 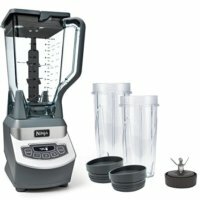 My mother-in-law then adds this onion mixture to the blender to purée it even more. I’ve skipped this step because, well, I’m lazy and my koobideh still turns out beautifully. The idea is to grate your onions as fine as possible and then strain out the liquid – but do NOT discard it! That onion juice is used later. The meat massaging process takes A LOT of time, I won’t lie to you. First, you mix the meat and the grated onions in the food processor until you get a big ball that whirls around the bowl. Then you mix the meat mixture, massaging it by hand as you would pizza dough for about 20 minutes. My daughter was only 3-years old at the time of this koobideh lesson. She loved every minute of it and even helped out! 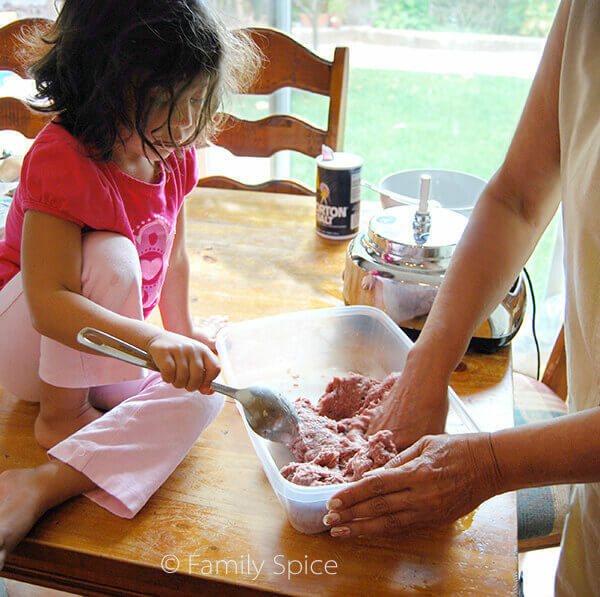 My girl loved working with the meat patties, probably because it reminded her of play doh. She’s 13 now and she still loves squishing around with pizza dough, koobideh mix, play-doh and slime. My boys also enjoyed making kabob with their Maman, as did the other grandchildren who are now too old and too cool to be seen massaging ground beef. They know that their meal is a lot of work to prepare, but their grandmother does it with a smile and a heart full of love. You want the meat to be fluffy. As my mother-in-law explains, this is not hamburger. The meat mixture should be airy, and not super sticky. You dip your hands in the onion water as you mix the meat and later on, when you massage it onto the skewer. Do let your mixture sit in the refrigerator for a couple of hours at least so that the onions and meat melt together. How do you get the koobideh mix onto the skewer? This is another tricky situation, but you get the hang of it after lots of practice. You start with a softball size amount of koobideh mix and pierce it down to the center of your skewer. Again, you are using flat metal skewers and NOT thin bamboo skewers. You do not want your kabab koobideh spinning around on a thin skewer. Once your softball of koobideh is in the center of your skewer, use one hand to squeeze it and massage it onto the skewer. The center of the skewer will be filled with the koobideh mix. You need to leave several inches off the ends of the skewers open so it can sit properly on your grill. Knowing how big your grill opening is also decides how long you can make your koobideh kabob. 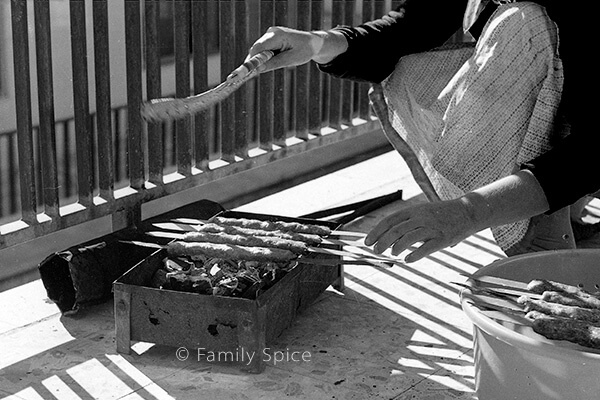 When we are at Maman’s house for a kabob dinner, the kids are gathered around her as she grills the kabob, turning each skewer at just the right time for even cooking. My mother-in-law sneaks bites of kabob fresh off the girl and feeds them to the kids, who typically are the last to be served dinner, after their elders serve themselves first. Your koobideh mix should wrap around the skewer, but not be bulky. So for the engineers out there who need exact measurements, we are talking about a half an inch of meat on the top and a half an inch of meat along the bottom of the skewer. 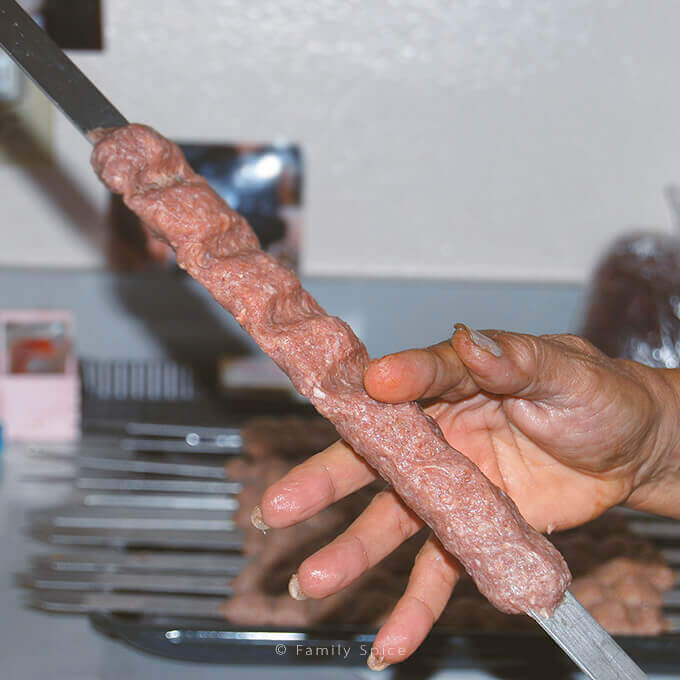 Using two fingers to mimic scissors (the forefinger and index finger), “scissor” the meat down the skewer to make the bumps you normally see in koobideh kabob. The ends of the koobideh mix should not be open. 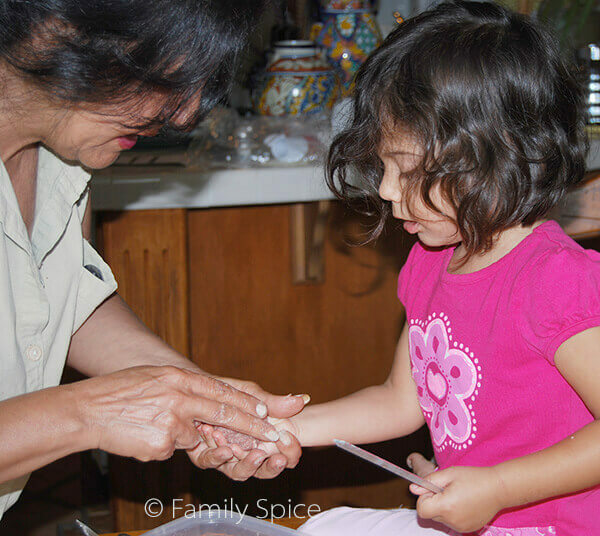 Use your fingers to pinch the ends, sealing it shut to the skewer. All the while as you work, dip your hands in the reserved onion juice or regular water to keep the meat from sticking to your hand. How to grill your koobideh kabob? Grilling Persian kabob is all about getting down to the basics. You do not need a fancy grill. In fact, I have memories of my grandmother sitting on her haunches fanning the flames of her little hibachi-style charcoal grill. My husband rigged his mother’s gas grill with metal stands so the skewers of meat sit above the open flame. Now she can stand easily and not crouch over a low grill. The hubby has found that those big stainless steel chaffing pans are a cheap and efficient way to grill koobideh kabob. Or any kabob, for that matter. 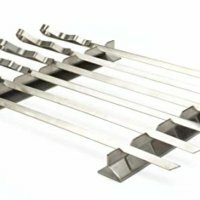 You can also cook your koobideh kabob in one of these kabob grills that are specifically designed to lay skewers of meat over hot coals – without crouching or bending over. 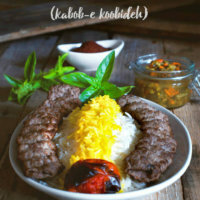 How do you cook kabab koobideh in the oven? 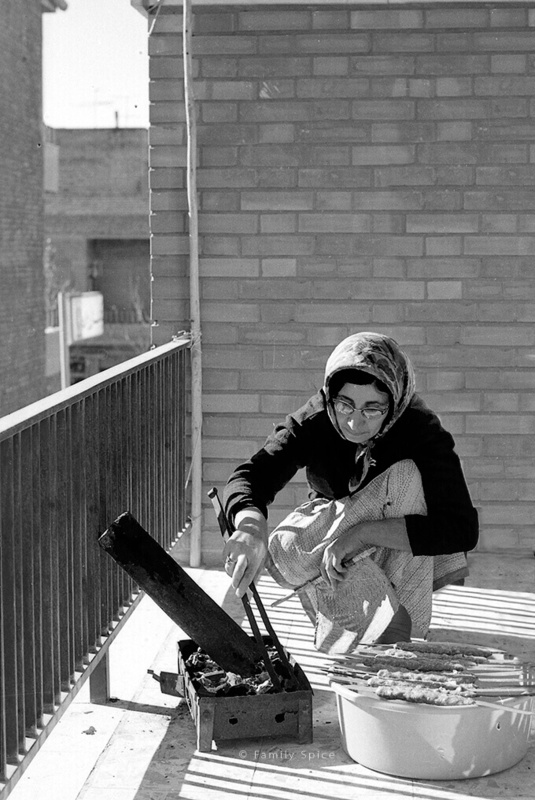 You can cook koobideh in the oven, when you do not have a grill. My American dad has perfected this technique and cooks koobideh this way all the time. You do not need skewers if you cooking your kabob in the oven. You will need a broiler pans like this one to place the kabob on. Form the meat into elongated fat hot dog shaped kabobs, about 1-inch thick and 6-inches long. Place each kabob on the top pan. You want to use both pans, so that the drippings will fall below the kabob. Leave at least 1-inch between each kabob. You don’t want to over crowd the pan. Heat the oven on broil for at least 10 minutes so your oven is piping hot. You also want the oven rack to be place on the top level. Once your oven is hot, place your pan full of koobideh kabob in the oven and cook for about 10 minutes, then turn kabob over and continue cooking for 10 more minutes or until juices run clear. How do you cook koobideh kabob on the stove in a pan? When my family has a hankering for koobideh kabob and it’s a busy school night, then many times I just cook up my kabob in a pan on the stove. This version is called kabob-e deeg, or kabob from a pot. I mix the koobideh as I would for skewering, form the kabobs like you do for the oven, but smaller, maybe 4-inches long. Then heat a pan, add some olive oil or melt some butter and brown your kabob on every side until done. Easy peasy, kabob in a flash! Because koobideh making is a bit… challenging, it is the most popular meal to order at Persian restaurants. But despite our adventures eating kabob at restaurants, my kids always agree. It’s never as good as Maman’s kabob. This is one family recipe I will definitely pass down to my children and of course to my own grandchildren. 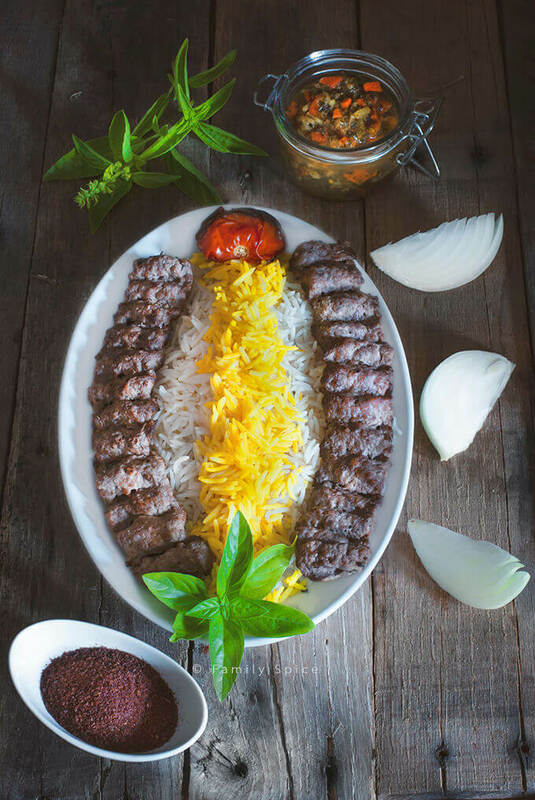 Read my husband’s favorite way to enjoy chelo kabab and koobideh kabob here. This can also be made with a mixture of beef and lamb. But for practicality purposes, we primarily use ground beef. Again, low-fat (10% fat or less) ground meat is not recommended for this technique. You need the fat for flavor and to help the meat stick to the skewer. Please use 20% fat ground beef. Much of the fat will burn off during the grilling process, and you are left with moist and tender skewers of koobideh kabob to enjoy. 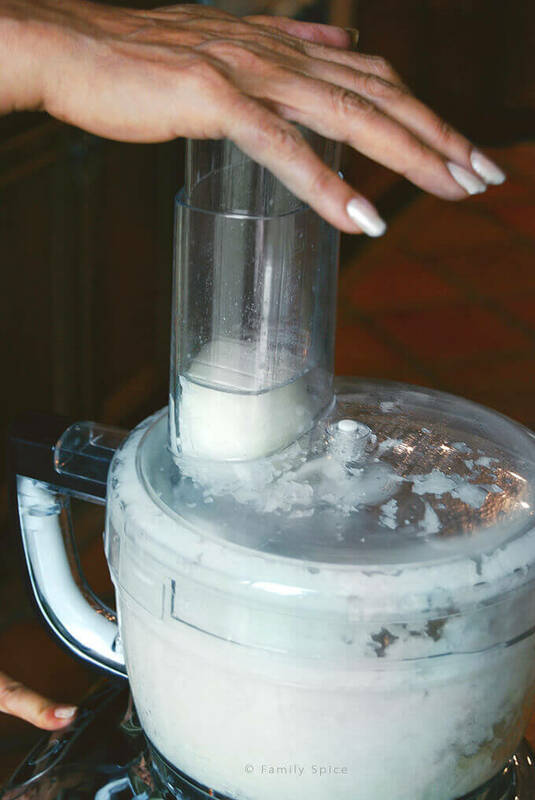 Grate onions using a food processor. Place the onion mixture in a strainer over a bowl and drain the juice. Kabob will not hold its shape if mixture has too much water. Reserve the onion juice. 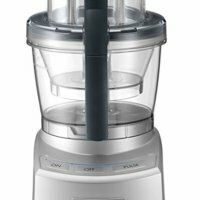 Using the food processor again, but with the chopping blade, place meat and salt in alternating layers with the onion mixture. Add onion juice little by little if mixture is dry. Meat-onion mix should have elasticity and stretch to it. Put kabob mix into big bowl and knead like dough. The more you knead the kabob mix, the lighter the kabob. Texture should be airy, not a solid mass like in a hamburger. Kabob mix shouldn't be sticking to your hands. Allow kabob to marinate in a refrigerator in a covered bowl for 2-4 hours. Remove kabob mixture from the refrigerator and start your charcoal at least 30 minutes prior to grilling. The amount of meat you use, depends on the size of skewers you have. Long flat skewers work best with ground beef kabob as it holds the meat better than a thin round skewer. For our skewers we started with a baseball-size ball of kabob mix. 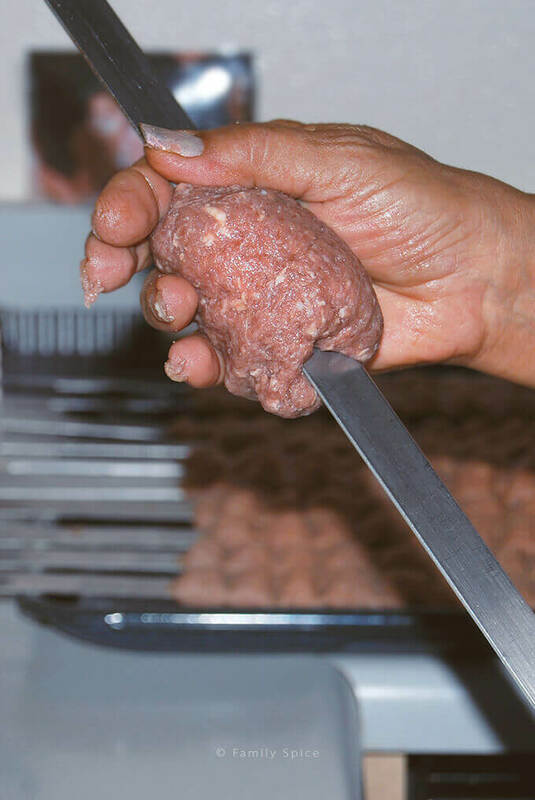 Gently pierce the meat patty with your skewer and slide it down to the middle of the skewer. Use reserved onion juice or water to keep your hands moist and to keep them from sticking to the meat. Softly squeeze the meat flat as you position the meat onto the skewer. Make sure you leave room on either ends of the skewer as it rests over your grill. 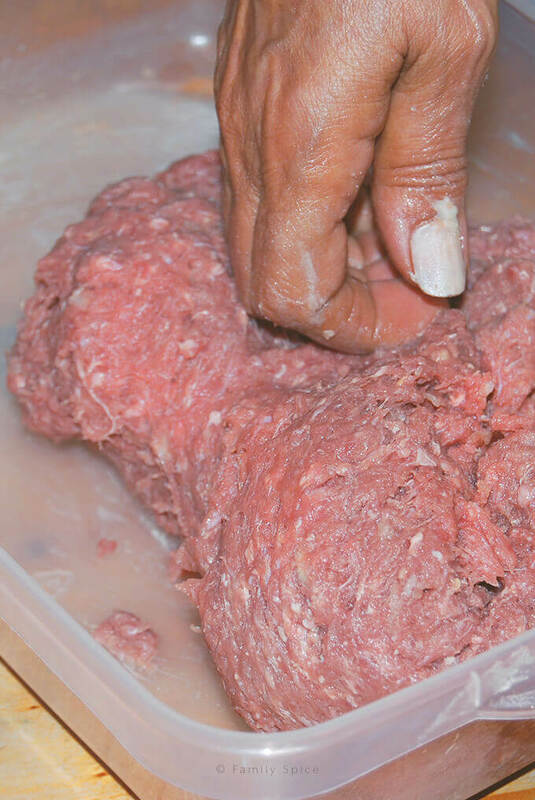 Using two fingers to mimic scissors, pinch both ends of the kabob meat, cutting off any excess. Also using two fingers softly squeeze down the skewer leaving ridges. Place skewers on the grill. The meat should not touch any grill plates. Instead the skewers should be propped up over your coals or flame. You know your grill is ready when you hold your hand over the grill for 3 seconds and your hand feel too hot to remain there. Cook until done, approximately 15-20 minutes, turning the skewers every minute to evenly cook. If you wait too long and cook one side too much before turning the skewer, your kabob will fall off the skewer. As kabobs are done, remove from grill and remove meat from skewers by grabbing it with a sheet of lavash bread and sliding it down the skewer. 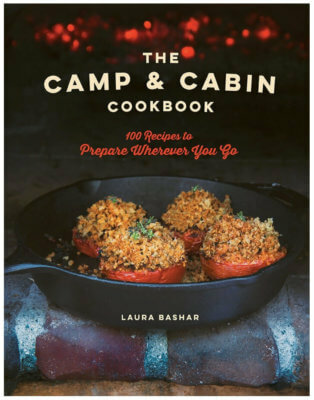 Place the kabob on a serving dish and cover with another sheet of lavash to keep the meat warm. Serving Suggestions: Serve with basmati rice or lavash bread. Cooking Tips: The ingredients are simple, but the technique is key. You want the meat mixture to be sticky enough to stay on the skewers and not fall off during the grilling process. Long flat skewers work best with this kabob. To cook in the oven, form kabob mix into desired shape and place onto a broiler pan coated with non-stick spray. Broil in the oven on the top-most shelf until kabob starts to brown, about 5-7 mins. Turn kabob over & broil for 5 more mins or until cooked through. * This step can be skipped. The secret to great ground beef kabob is to make sure your onions are pureed very smoothly. You don't want to taste the onion pieces, as you would in a hamburger. The texture is very different. This post has been updated. It was first published January 8th, 2009. It does contain affiliate links. This is always my favorite meal at your place. Watching your husband grill the meat skewers over his make shift grill is half the fun. The other half is listening to his stories of growing up in Iran. And I believe, you were just invited for another night of kabob at our house! Really? We’re so making that happen! We love sharing food, fun and family with you all. Thank you for a wonderfully informative lesson. The ingredients are so simple but I fear the method will take some time: have never made a mixture this way and have always been taught mince should be handled as little as possible 🙂 ! Very interesting and shall soon try to see whether I can get it right!! Have the right skewers . . . oh, and love the family photos . . . enjoyable post . . .
Eha, until my mother-in-law showed me how to do it, I wasn’t very successful making kabob either. The food processor may become a mess to cleanup afterwards, but it fluffs the meat beautifully and my kabob never fall off the skewers. Let me know how it works for you! Sent this to some friends and quite a few wrote back to say they would subscribe . . . yes, shall tell you when I get a reasonable result 🙂 ! I absolutely LOVE this recipe. But I scares me to death making them because of how easy they fall off of the skewer. I think the closer the meat comes to room temperature, the more likely they are going to fall off, no matter how evenly you rotate them. I use a yogurt strainer to strain my onion puree and reserve the juice in case I need it. The juice is great to freeze and add to soups later. It is always a challenge to keep the meat from falling off the skewers. If you have a refrigerator big enough to hold the skewered meat, then yes, keep it cold. Here in San Diego, our nights are cool so we are able to keep it cool sitting out on the table. The onion juice is definitely a secret flavor weapon. Great idea on freezing it! i’m mohammad from iran and i know english a little ! Yes, this lets the meat flavors meld together and helps it stay on the skewer. Perfect recipe! Thank you for sharing! What a great post. The pictures of leaning down and cooking on the grill outside remind me of pictures of Doug’s Korean grandma doing the same on the beach in Hawaii cooking kalbi. These are a bit like latkes – very few ingredients but so much technique! Thanks for sharing! My grandmother didn’t mind cooking for 30 people using that little grill! Go bless grandmothers! Sorry for not writing sooner. I have been sick in bed for the last week. Yes, you read the post correctly. Just make sure you separate the grated onions from its juices before mixing it with the meat again. Save the onion juice for later when you are ready to massage the meat onto the kabob. This is a great post! I love the simplicity of this recipe! Thank you! Simple AND delicious! So many useful tips for making the best beef kabobs! Thank you for sharing your mother-in-law’s amazing recipe. My mother-in-law was happy that someone wanted to learn her cooking secrets!